I am still determined to be cheerful and happy in whatever situation I may be; for I have also learned from experience that the greater part of our happiness or misery depends upon our dispositions, and not upon our circumstances. Susan brings over 20 years of Revenue Optimization and Distribution experience in both the Hospitality and Airline industries to her role as Vice President of Revenue & Channel Analytics with HVMG. 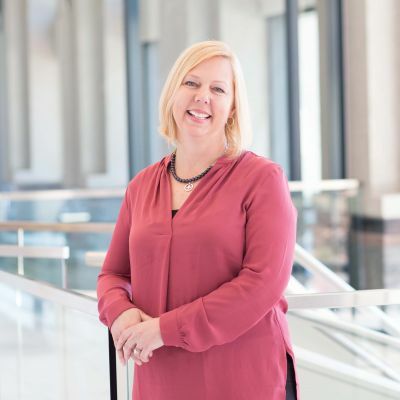 Susan is responsible for optimizing revenues and profits by driving innovation across customer segments and products, industry systems and data, RM processes, partner relationships and training. Prior to joining HVMG, Susan was VP – Revenue Management & Distribution for Denihan Hospitality, a nationally recognized, independent owner and operator of boutique hotels in top US urban markets. Susan also spent 8 years with Starwood Hotels in various roles including Vice President, Channel Intelligence, responsible for various revenue analyses, channel strategies, reporting and billing functions across all distribution channels. Susan began her career in the airline business, spending more than a decade with American Airlines and Delta Airlines specializing in pricing, revenue management, route planning and aircraft scheduling. Susan’s role is a critical part of the evolution of HVMG’s Revenue Excellence vision, helping to develop and lead revenue, distribution and channel strategies. Susan is a member of Hilton's Distribution Advisory Council and a member of HSMAI.